Surfing the Web nowadays helps you find tons of useful, informative, educational or entertaining content. If you are researching a certain topic, you will undoubtedly find many great and helpful web articles, texts and posts on the subject very quickly. Actually, most times you will find yourself overwhelmed with all this content from various sources and discover that you stumbled on so much material that you can create a regular book from it for reading or studying over a longer span of time. The good news is that it is actually possible! Here is a tip on how to make an eBook from web articles with our premium and professional software for PDF management, PDF Converter Elite . 1) Open the article in your preferred web browser and choose to print it. 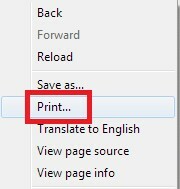 For example, in Google Chrome right click on the page and choose Print from the option menu. 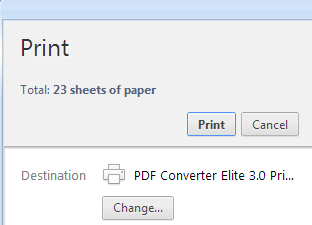 2) Choose PDF Converter Elite from the list of installed printers on your computer and click the Print button. 3) According to PDF Converter Elite’s default settings, the PDF will be saved in your My Documents folder. Tip #1: If you are creating an eBook from articles on a certain topic, for example, “Tips for writing effective resumes,” it is worthwhile to create a specific folder and name it after your planned eBook, then save all the PDF articles for the book in that folder. This prep work will definitely simplify and speed up your PDF eBook creation process. 4) Repeat the above steps to create PDF versions of as many web articles, blog posts or useful pages as you want in your book. 5) Once you have collected all the stories for your eBook and converted them into nice-looking PDFs, you may launch PDF Converter Elite. You can do it via the Start menu, by searching and choosing it from the list of installed programs, or by double-clicking the desktop icon if you created it for gaining quick access to PCE. 6) All you need to do now to create your topical eBook is to join these PDF documents using PCE editing option – Merge PDF. 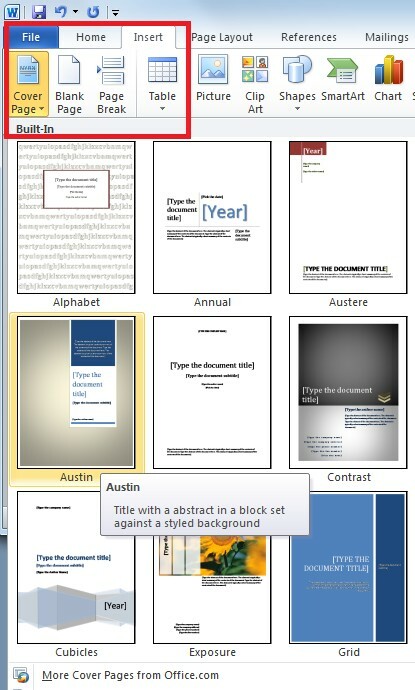 Tip #2: To get a more professional looking PDF eBook, you may want to create a cover page for your eBook. If you are in a race against time or have no design skills whatsoever, you can simply open a new MS Word document, go to Insert menu and select Cover Page. Choose among many great-looking predesigned templates, add the title of your eBook and any other applicable information like a subtitle or date, and print to PDF using PDF Converter Elite. 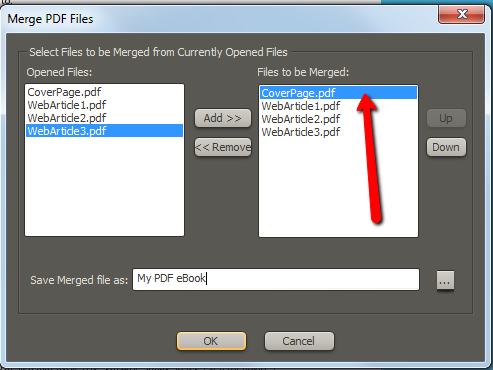 To make it the title page of the PDF eBook, simply move it to the top in the “Files to be Merged” field when joining the individual documents. Use the Up button to rearrange the order of the files you are joining (check out the image below). If you use PDF Converter Elite for creating, converting and managing your PDFs, take advantage of this useful feature to organize, combine and save useful web content for future reference and studying. Download PCE, read this guide on how to make an ebook from web pages, and organize your research. In the case that you still aren’t using PCE, but would like to be able to merge your PDFs, why not give it a shot? It is free to download and try for 14 days!